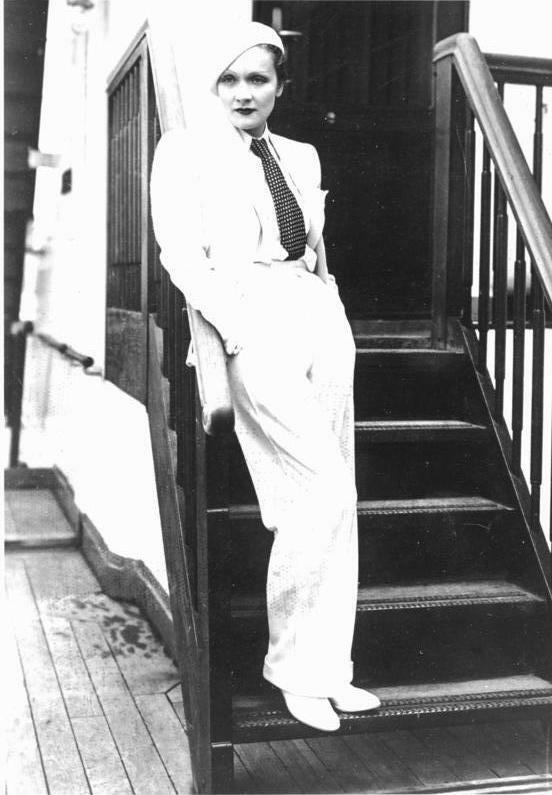 The original style chameleon, Marlene Dietrich frequently transformed her style under the spotlight. She was one of the first women to be photographed wearing a full tuxedo in the '30s, which contrasted her blonde, wavy locks. Other photographs show her wearing ties, bulky blazers, feminine midi skirts and lush furs. She opened the public eye to ever-changing fashion and the fact that women can wear mens' pieces too — and still be elegant. The Dietrich: Black Jade ring with 14 Karat Gold, Citrine, Peridot, and Amethyst found in the Sceptre & Sash showroom.